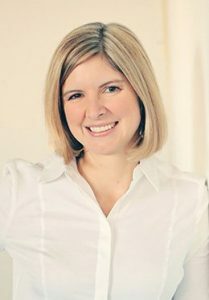 Kristen Holt believes that financial wellness is a cornerstone for pursuing our dreams. An experienced leader of business, partnerships, human-centered design processes and collaborations, she inspires GreenPath to rise up as an extraordinary organization that places people at the center of everything we do. Her vision guides a national team of innovators, partners and affiliated organizations to offer a full suite of financial services that empower all people to lead financially healthy lives. 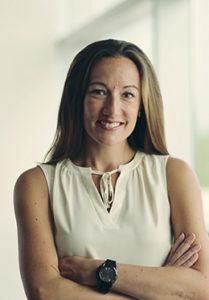 Kristen is a CPA and earned her MBA from the University of Michigan. She is on the board of the National Foundation for Credit Counseling. She credits a family financial upbringing that emphasized savings and living debt-free for starting her on a path to support people to build financial well-being. As our operational lead, Donna ensures that our services meet the needs of our clients and partners. Her teams establish the processes and systems behind our client experiences and deliver people-centered, respectful experiences that improve financial wellness. Donna is motivated to empower others to be financially strong and independent. She views her work as enabling people to see new opportunities and hope. As a result, her goal is to help them solve financial challenges so they can focus on their dreams. 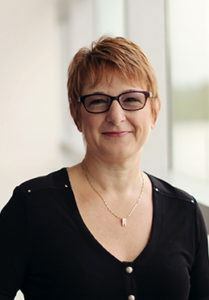 Donna draws on more than 25 years of experience at GreenPath and has studied at the Michigan State University Eli Broad School of Business Executive Development Program. Donna holds a bachelor’s degree from from Wayne State University. Rich Hollis oversees our finance and accounting, enabling GreenPath to sustain our own financial wellness. Just as we support clients to remove financial barriers to their goals, Rich has established our financial function to support for our vision. In addition to experiences in management, negotiations, and mergers and acquisitions, Rich led his own company for many years. He brings broad expertise to the leadership of our business, helping us connect the dots between finance and our creative, growth and operational initiatives. In addition, his sense of humor regularly puts us at ease, whether we’re discussing financials or something else. 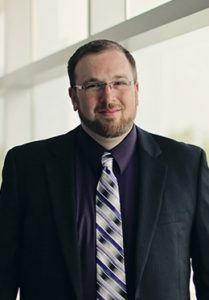 Rich holds a master’s degree in business administration from the University of Detroit – Mercy and a bachelor’s degree in accounting from Wayne State University. As the leader of our human resources, Danielle Crane sees her role as bringing out the best in our people. As a result, GreenPath is home to a thriving culture of talented and caring people. Danielle delights in supporting the entire employee experience. She is an experienced leader and advocate for people’s strengths as a company’s most valuable asset. She loves helping us see new possibilities, and engaging people’s talents to attain them. Danielle was recognized as the 2016 Human Resources Professional of the Year. 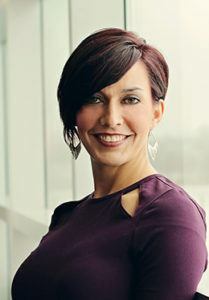 She is also an active member of the Detroit Society for Human Resource Management (SHRM) and the National SHRM. She earned her MBA from the Walsh College of Business and Accountancy and bachelor’s degrees in HR and English from Albion College. Donna Doleman Dickerson leads GreenPath marketing and brand initiatives with a deeply customer-centric and collaborative leadership expertise. She helps quickly connect to people’s needs and behavior through genuine, people-centered communications. Her creative spark and rigor in developing communications make GreenPath, and financial wellness, more accessible to people all over the country. A strategic marketing executive, Donna has over 25 years of experience in public and private, governmental and nonprofit organizations. Prior to joining GreenPath, she built a sophisticated global marketing platform to support economic development in the Ann Arbor region. She also previously led national and local marketing efforts for large healthcare and pharmaceutical companies. In addition, Donna is an entrepreneur. She operates her own strategic marketing consultancy and is the founder and president of the start-up Natural Kids®, an education, advocacy and consulting firm that promotes environmental initiatives to benefit children. Donna earned a Bachelor of Science in health care administration from Florida A&M University and a masters degree in business administration from State University of New York at Buffalo. Sireesha Mandava leads information technology (IT) and innovation initiatives that best serve GreenPath’s stakeholders and pave the path for future services that support our mission. She is passionate about innovation through technology and actively works on developing high-performing teams to support and improve GreenPath’s technology foundation. 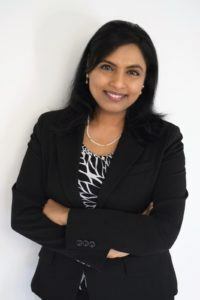 Sireesha is a seasoned technology professional with over two decades of experience in building and managing global information technology solutions. Prior to Greenpath, in addition to managing IT applications, she championed the innovation and strategy to create and grow a SaaS start-up in a global company. Sireesha holds a master’s degree in Business Administration from the Ross School of Business at the University of Michigan, and a bachelor’s degree in Electrical and Electronics Engineering from BITS, India. Rick Bialobrzeski heads up GreenPath’s strategic partnerships, with a focus on researching and developing collaborations that are win-win-win: good for our clients, good for our partners, good for us. He works to maximize GreenPath’s reach so we connect more people with quality resources and information to support their financial wellness journey. He believes that financial wellness can be life-changing for millions of Americans. Rick brings a background in consulting, communications and systems engineering, combined with more than 20 years of expertise in financial wellness to his work. He also regularly puts his experiences as a team player and hockey coach to the test, bringing out the best in all of us. Rick graduated from Bowling Green University with a bachelor’s degree in journalism. Gene Spencer has spent his career bending the strengths of the world’s great financial institutions to serve the needs of millions of people who dream about owning a home. 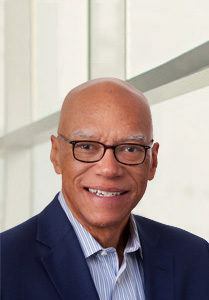 He has served in executive positions across housing finance, including leadership at Fannie Mae and MBS Products in capital markets, mortgage-backed securities and investor relations. 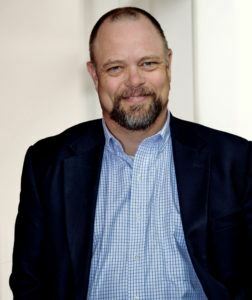 As the chief executive officer for Homeownership Preservation Foundation, Spencer works with federal housing agencies, policymakers and financial industry leaders to develop influence, support and funding for financial wellness and sustainable homeownership. Spencer holds degrees from the McDonough School of Business at Georgetown University and the College of William and Mary in Virginia. Rod McGinniss leads business development for GreenPath and Homeownership Preservation Foundation. He is responsible for developing strategies and solutions to bring financial wellness services to mortgage lending institutions. Rod makes the business case for financial wellness. His work opens doors for us to partner with financial services businesses to improve financial health and strengthen the housing finance industry, while also supporting a more sustainable society. 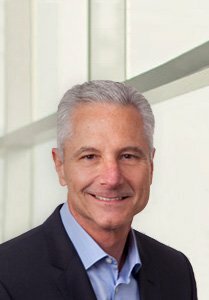 Rod has more than 30 years of experience in mortgage finance and capital markets, and has held senior leadership roles in business development, sales, institutional investor management, and mortgage asset trading. He holds a BS in business management from the University of Maryland and completed the NeighborWorks / Harvard Kennedy School Achieving Excellence Executive Leadership Program. Nicole Bladzik provides leadership to GreenPath’s Innovation team charged with paving the way for new products & services that will enable GreenPath to reach its BHAG. Her team leads strategic new product, service, and technology initiatives for the organization and its partners, while ensuring that they are designed and delivered with the customer in mind. Nicole and her team are dedicated to building a culture of Innovation within GreenPath that is rooted in Human Centered Design. Nicole joined GreenPath as a Contact Center Representative and has witnessed the impact of financial wellness from almost every angle. Her experiences in direct client service, process and project management, technology, and business analysis position her as one of our top problem solvers, equipped with extensive knowledge of GreenPath products and services. Nicole earned her bachelor’s degree from Michigan State University. David oversees the entire client-facing world of our workforce — from the team that handles the very first call a client makes to us, to the people that advise and support our clients as they work to meet their financial goals. David knows first hand the importance of financial literacy, access to opportunities and seeing possibilities. He is especially driven to connect with people who have limited access to the things they need to be financially healthy. David is a graduate of the Jacob D. Fuchsberg Law Center of Touro College and earned his bachelor’s degree at Michigan State University where he managed Coach Izzo’s basketball team and developed a treasure trove of basketball stories and analogies that still come in handy today. Bill Druliner is what we call our “at-large partnership guy.” He is passionately focused on developing collaborations with a network of organizations to empower more people to lead financially healthy lives. Bill believes that financial wellness is the single most impactful lever of change for improving people’s lives. He is a seeker and systems thinker, constantly asking how financial systems can be designed to empower people to use their money for the life they want to live. 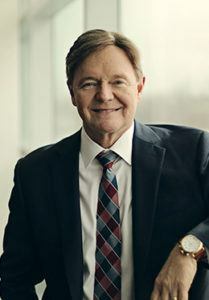 Bill draws on his experiences in the banking, financial planning and credit counseling industries, as well as a lifelong desire to effect positive change. 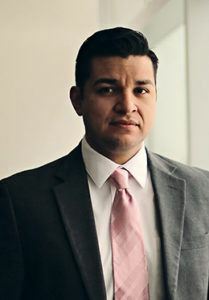 He earned his MBA in finance from Marquette University and graduated from the University of Wisconsin–Lacrosse with bachelor’s degrees in finance and economics. Tom leads the development of new programs and partnerships nationally while bringing to scale several Montana-based RDI programs. Tom brings public policy experience, combined with 15 years leading RDI, to his work with GreenPath. Tom is a current legislator in the Montana House of Representatives and served on Taxation, Health and Human Services, and Fish, Wildlife and Parks committees. He sponsored several bills promoting a state Earned Income Tax Credit, consumer protection, financial literacy, matched savings programs, tax reform, access to public land, and renewable energy. 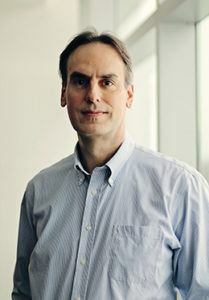 Tom earned a bachelor’s degree in Business Administration from the University of Great Falls and a master’s degree in Public Administration from the University of Wyoming.